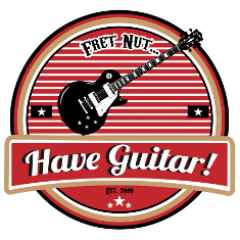 Fret nut... Have Guitar! - Page 38 of 38 - Have Guitar! - all about guitars! So, you’ve been looking for a fat bottomed gain monster with an aggresive attitude? Well, then the Framus Dragon amplifier could be something for you – or try this Kemper rig pack from ReampZone, which recreates the sound of this metal mayhemic mutilator. And, yes, I think is one of those amps that is kinda aimed for a genre – but that doesn’t mean you can’t use it for other genres. Just a short video of me unboxing some stuff I ordered from Thomann… but unboxing is allways fun, right? Right?!! Right. Back with a fresh Kemper rig showcase and here Have Guitar proudly present s ReampZone’s newest rig pack: the Fuchs Blackjack 21 MKII – sounds so good I got GAS for an amplifier like this! Just sorry I couldn’t find any dealer in Sweden or even Europe who’s got it in stock. Yeah, this Kemper rig pack sounds that sweet so take a listen to my video, then buy the pack (it will save you a great deal of money…!). Just a quick video on how to install the Profiler OS 5.1.0.12774 Public Beta for the Kemper Profiling Amp. Some new content as well with some sound examples! And as I say in the video – be aware this is a beta version. Do read the forums first about any problems other users may have… and good luck! Testing the difference in Kemper sound quality – “live in the room” (captured by microphones in the room) or “lined” (Kemper into the sound card, audio captured in Cubase, no room sound). Now the lined sound is just that, Kemper connected to the line-in on my audio interface, Propellerheads Balance. That interface don’t have any S/PDIF, as I mention in the video and seems to be the way to go acording to many Kemperists. So, this video has that limitation as off now… I will get back to this topic once I have an audio interface with the S/PDIF option. Right now I really I don’t miss out much on using the “live in the room” option. Time for another Kemper rig showcase and in this video you’ll get a taste of the Marshall Vintage Modern 2266 amplifier in the shape of a Kemper profile pack from Choptone’s – Brit Mod/Vin 6622. This profile pack comes with 26 profiles and it sounds great!! The selection of profiles very much captures the capabilities of the original amplfiers – you’ll get clean, crunch and high gain profiles in a very useful mix. The Fender Bassman is a really iconic amplifier and I’ve been looking forward to make a KPA rig showcase based on a profiled Bassman. So, in this video you’ll get a showcase from TopJimi’s Medium-power Tweed Pack for the Kemper Profiling Amp. As a “bonus” I’ve thrown in a small comparission of the Boss Fender Bassman ’59 FBM-1, a stompbox that emulates the same amplifier. It’s not a fullblown review/showcase of the pedal but more of a quick-look (or should that be ‘quicklisten?). Anyways, it’s a great profile pack that I’ve really enjoyed playing around with and I hope you’ll like it as well! Another Kemper rig showcase and this time it’s a massive rig pack from ReampZone: their Dumble ODS: 50W HRM. Loads of Kemper profiles included in this rig pack and it sound really great – have a look, listen and then just buy it if it’s your cup of tea. Showcasing / trying out the Suhr Riot distortion pedal! This stomp box is by design set for use on the clean channel of an amplifier but how well will it perform on clean Kemper profiles? Watch this video to find out! I’ll be testing the Suhr Riot with three different clean Kemper profiles on two different guitars (Fender Strat and Gibson SG).